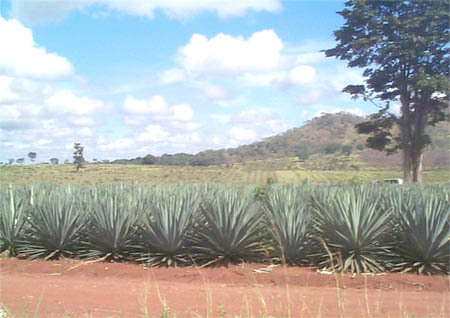 Cover Picture: Sisal planting trials in Tanzania, conducted as part of the CFC-financed project: Product and Market Development of Sisal and Henequen. The designations employed and the representation of material in this report do not imply the expression of any opinion whatsoever on the part of the Common Fund for Commodities (CFC) or the Food and Agriculture Organisation of the United Nations (FAO) concerning the legal status of any country, territory, city or area or its authorities, or concerning the delineation of its frontiers or boundaries. 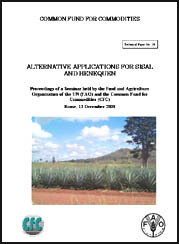 The contents of this report may not be reproduced, stored in a data retrieval system or transmitted in any form or by any means without the prior written permission of the Common Fund for Commodities; except that reasonable extracts may be made for the purpose of non-commercial use provided the Common Fund for Commodities and FAO are acknowledged. The views expressed in the papers and presentations made at the seminar are those of the respective authors. They are not necessarily shared by FAO and/or the Common Fund for Commodities.